SANTA ANA, Calif. (KABC) -- Orange County sheriff's deputies are asking for the public's help to find a person of interest involved in a fatal motorcycle crash. On Monday afternoon, the driver of a maroon Honda crashed with a motorcyclist in Modjeska Canyon near Santa Ana. The motorcyclist, identified as 55-year-old Drew Ketter, died at the hospital. Authorities said the Honda driver then left the scene. The car that was involved in the accident had been recently stolen from a Santa Ana tow yard. The OCSD released video on its Facebook page of the car and a person entering it. 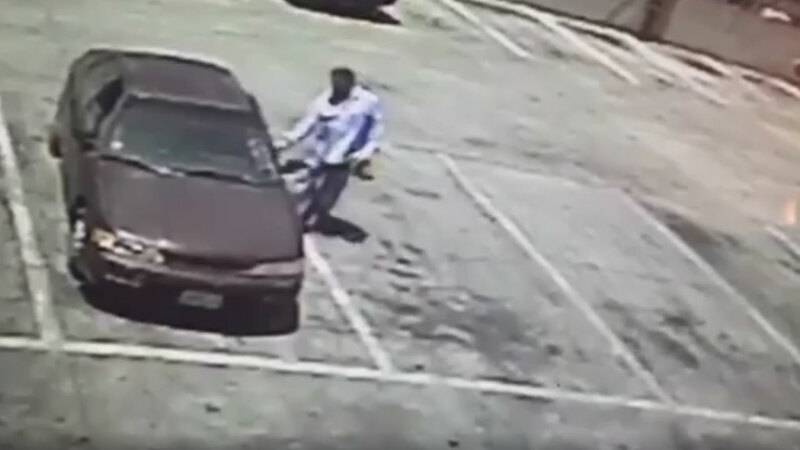 In the video, a person is seen circling around the car before getting in and driving away. Authorities want help identifying the suspect so they can ask the person questions about the fatal crash. Anyone with more information was asked to call the OCSD Major Accident Reconstruction Team at (949) 425-1860. Anonymous tips can also be made to OC Crime Stoppers (855) TIP-OCCS.